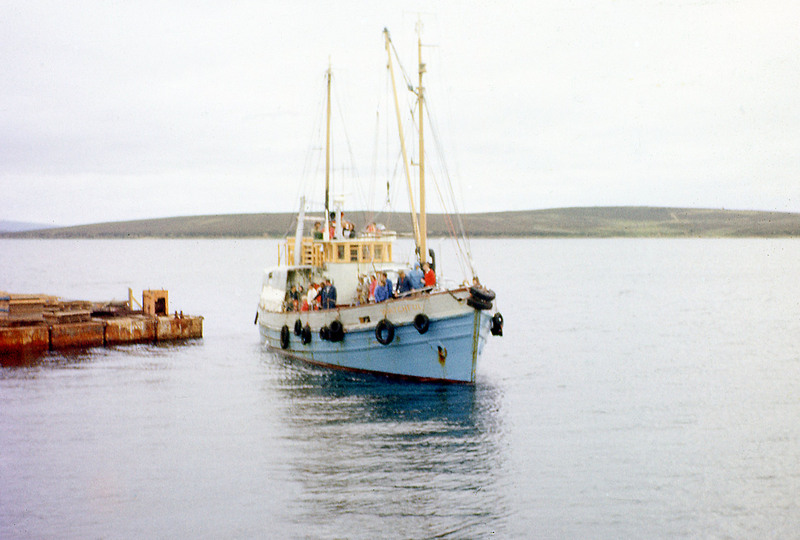 The MV Watchfull approaching Lyness Pier in Summer 1976. Think that was earlier than 76. She was last used running from Stromness to Flotta in 1975 and after a while laid up at Stromness was sold to a local seafaring group. Mac Bain (Senior), Angus Sinclair and myself delivered her to North Shields about June 76.